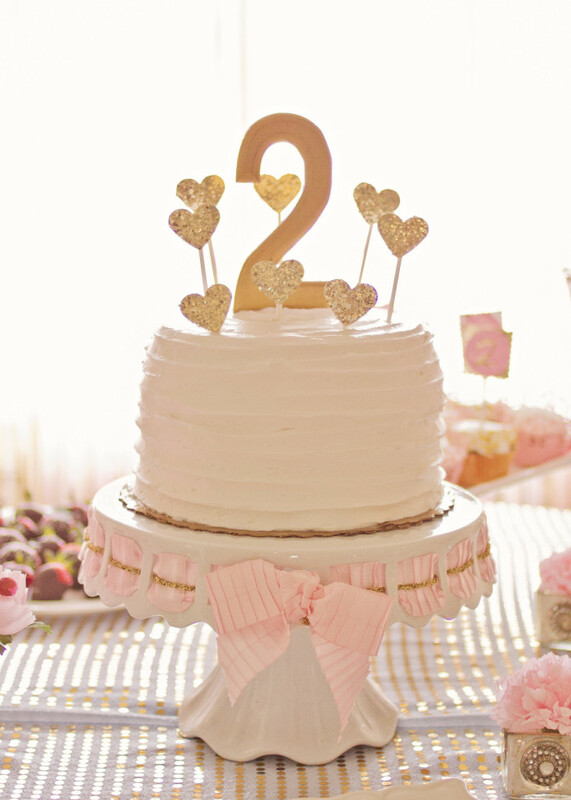 I wanted to do something sophisticated and girlie for my daughters 2nd birthday party, so I thought pink and gold would do the trick. I had so much fun thinking of creative ways to display her initial and add littgle details throughout her party. My favorite items were the fireplace display, I love how it turned out. Very pretty! Love the pink and gold together! This is gorgeous! Can you tell me where you found that high chair?? I’ve been looking everywhere for a sturdy, wooden one! Love this party! So beautiful. I found it at a garage sale. Maybe try craigslist? It was wooden and I just painted it. Did you buy the gold glittered frames like that? Or you made them? Beautiful. 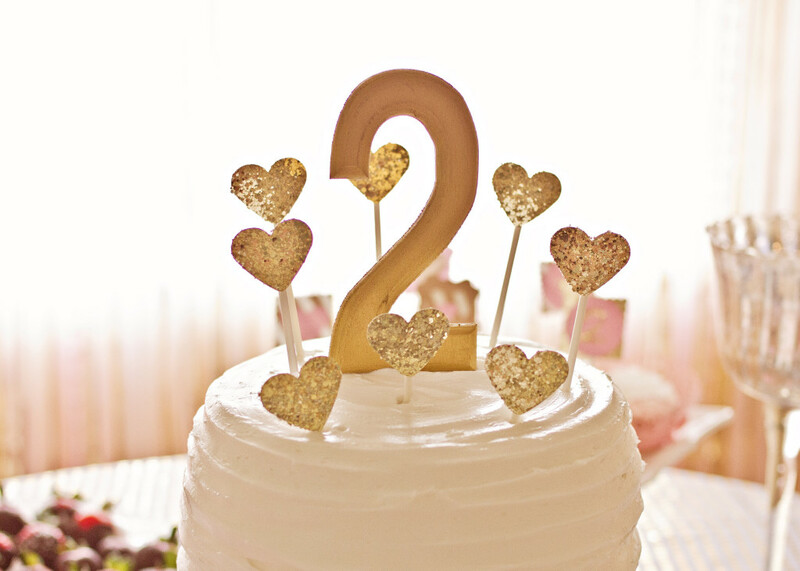 Where did you get the glittered “TWO” letters? I used thick scrap booking paper and printed T W O on printer paper and traced it on the scrap booking paper and cut it out. I got them at Micheals. They are a light weight wood. I put tacky glue on it and then covered glitter on them. Super easy. Beautiful! Where is the table cloth from? Love the colors..Where did you get that headband from? I got it at Hancock Fabrics, it was being clearanced out. The gold really makes this party pop. Great details! Where did you get the glitter hearts that are on the cake? I used a heart puncher and got glitter scrap booking paper. how did you make the pink/gold backdrop/curtain? I just used streamers and a gold foil fringe door curtain. I taped it on the back of the curtain rod that was already there. Beautiful! I see that you used streamers for the background… I love that idea! What did you use for the gold hanging down with the pink? Can you please tell me the color you used to paint the highchair? I love that color! I was wondering the brand and name of the paint you used for the high chair…It is so pretty! Thanks! I am in love with the cake stand. Where did you find it? I also would like to know where you purchased the cake stand please. Did anyone find out the name of the cake stand or where it can be purchased?